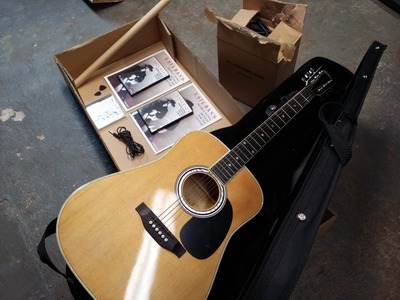 Esteban American Legacy acoustic electric guitar. 2 lesson books, 2 lesson cds, amp,amp cord, 2 picks, chord chart, case, music cd. used mb once-2x at best. been in storage. trades?